Ole Miss Rebel Head Baseball Coach Mike Bianco gives the keynote address at the 2018 fall meeting of the Ole Miss Family Leadership Council, sharing his leadership philosophy and what he has learned over the last 18 years as manager of this dynamic program. Keith Ketchman of Schaumburg, IL, visits Jim and Kim Eickholz of Paducah, KY, before getting a behind-the-scenes tour of the Oxford-University Stadium renovations. While looking out over Swayze Field from the Ole Miss Diamond Club, the 2018-19 Family Leadership Council poses for a group photo. Jennifer Brinson of Raleigh, NC, enjoys spending time with her Ole Miss sophomore, Jackson, and his younger brother, Charlie, at the reception following the fall meeting of the Family Leadership Council. At the reception following the fall meeting of the Family Leadership Council, Mike and Heather Brown of Paducah, KY, enjoy an opportunity to visit with their Ole Miss freshman, Cameron, and hear about her first few months as a college student. Support your student! Strengthen the University! Connect with the Ole Miss Family! 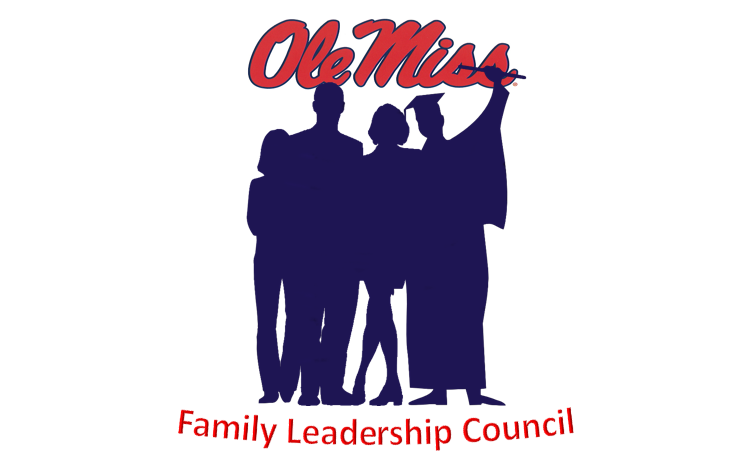 Join the Ole Miss Family Leadership Council (OMFLC) and be a part of a vibrant organization that shares the University of Mississippi’s vision of a nationally recognized academic institution and is committed to supporting exceptional educational opportunities. OMFLC began in 2014 and has impacted the Ole Miss student experience by supporting areas within the Division of Student Affairs such as health and wellness, campus safety, career services, and student leadership. We are extremely proud to have had 54 families representing 18 states on the 2017-18 council. Membership on this Council enables parents to direct their support to programs that enhance the student experience and strengthen the university. OMFLC members also have the opportunity to share feedback with UM leaders, faculty, and staff, as well as hear updates on new programs and the expansion and growth of the campus.